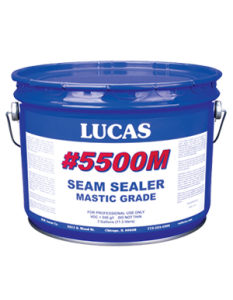 Lucas Seam Sealer is a premium synthetic rubber based sealant and caulk. Intended for flashing, sealing and repairing metal roofs and trailers, built-up roofing, modified bitumen, TPO and many other single ply systems. Contains anti-oxidants and light-stabilizers for extended life and reinforcing fibers that add strength and durability. Available in two grades with different viscosities and leveling characteristics.